Slime and Dirty Socks – How Do They Help You Save Energy and Improve IAQ? Coil cleaning - a low-cost method of conserving energy and improving indoor air in buildings. When was the last time you looked at the heating and cooling coils in your air handling systems? When was the last time you smelled them? Standard maintenance recommends the coils be cleaned “from time to time.” If your coils are not clean, you – or other building occupants - may have noticed that “dirty socks” smell. This is not surprising as we have seen some coils during energy audits that look like they’ve never been cleaned like in the picture here. This issue rears its smelly, ugly head in the spring and summer when we switch from heating to cooling our buildings. You’ll notice an uptick in discussions on ASHRAE forums and other groups (such as those on LinkedIn) about cleaning the exterior of coils. But fall is when we typically address it. The system cannot achieve optimal temperature and humidity. People are uncomfortable. They complain about being too hot or too cold. This can lead to lost productivity, absenteeism and even potential lawsuits. 2. Heat Transfer and Energy Use. Reduced airflow reduces heat transfer through the coils, which causes the compressors to use more energy to maintain leaving air temperatures. The compressors have to work harder to try to maintain the required sensible and latent reduction from the air passing over the coils. In a chilled water system, the water flow has to be increased causing the pumps to work harder. Increasing the water flow, however, does not always increase heat transfer. Both of these increase the energy use - and dollars - required. 3. Indoor Air Quality. 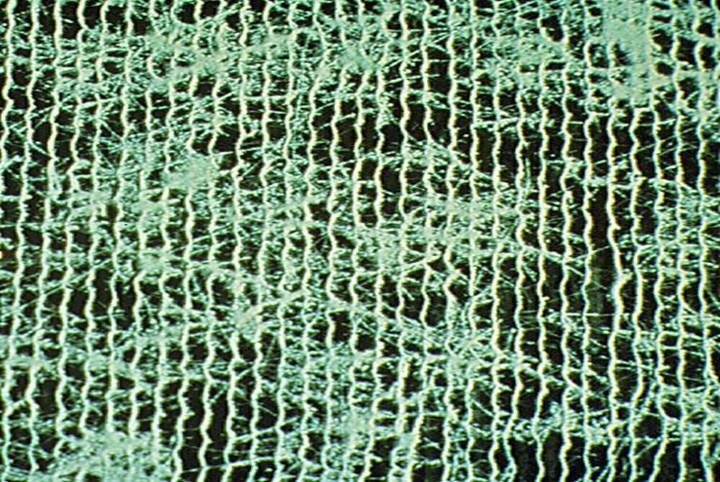 Dirty coils often develop a layer of biofilm, or slime, which is difficult to see and difficult to remove, especially from the interior rows of coils that are more than 4 rows deep. Cleaning coils by commonly used methods is not enough. If the biofilm is not removed, the particulates passing through the coil attach to the fins more easily and build up more quickly than on properly cleaned coils. This in turn reduces air flow at a faster rate (see #1), requiring more frequent cleaning. The biofilm causes “dirty socks syndrome,” or DSS, an odor emanating from the cooling coil. It is especially noticeable when the cooling system starts up in spring or summer, especially after a weekend shutdown. Although the same reasons apply to both heating and cooling coils, we are going to focus here on cleaning cooling coils. Why? Because the temperature difference between the air and the fluid inside the coil (the delta T) is so much less in cooling coils than in heating coils, there is a greater opportunity for energy savings. And now that the cooling season is over in much of North America and Europe, this is the time to properly clean cooling coils, while those systems are idle. What does it mean to “properly clean” the coils? Cleaning a 6- or 8-row cooling coil with air, or cold water from the tap in the mechanical room, or even hot water, simply will not do the job. Unless done by a professional, these methods often cause bent fins on both the entering and leaving air sides. Most coils today are not the 8-fin per inch (fpi) coils of yesteryear, but 12 to 14 fpi. This thinner fin stock is more likely to bend and cause airflow and heat transfer problems. In addition, traditional coil cleaning methods and corrosive chemicals do not affect biofilm or reverse the decline in performance and efficiency caused by the slime. A professional coil cleaning company will use special nozzles that will not bend the fins, along with an environmentally friendly solution that removes the biofilm after the coil has been cleaned. We watched this being done on a 750,000 SF municipal building in Detroit while beta testing the new ASHRAE Building Energy Quotient labeling program. After the cleaning was completed we saw astounding results in increased efficiency. It also worked wonders on a Class A commercial office building in SE Michigan by eliminating the odor coming from some large chilled water coils. Is it time to look at your coils? If you want to save energy and increase the indoor air quality in your buildings, it most certainly is.